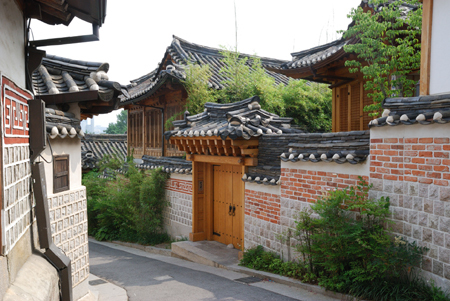 It’s a time travel to the past of 500 years in Seoul. 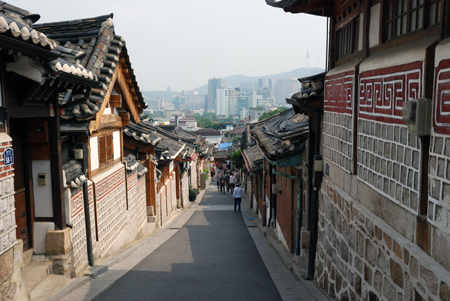 You can experience the Seoul from the past to the present, also you can experience from the shanty town to rich village during just one day. Various themes are in one package. How wonderful it is! If you travel to Seoul just for a few days and would like to look around here in one day, it must be the best choice among many packages. 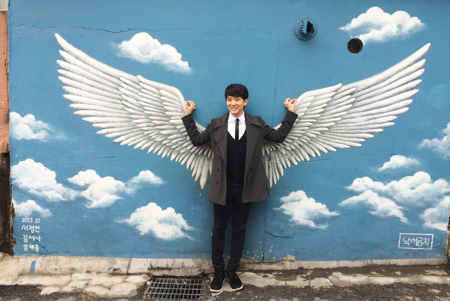 You can experience the most important attractions of Seoul from noon to evening. The traditional palace and modern structure in Seoul and even the life styles of middle and upper class people will be seen in one tour package. If you use public transportation, it’s not available to see this course in one day, only possible by our tour package. It’s the only way to experience the 500 years of Seoul at once. 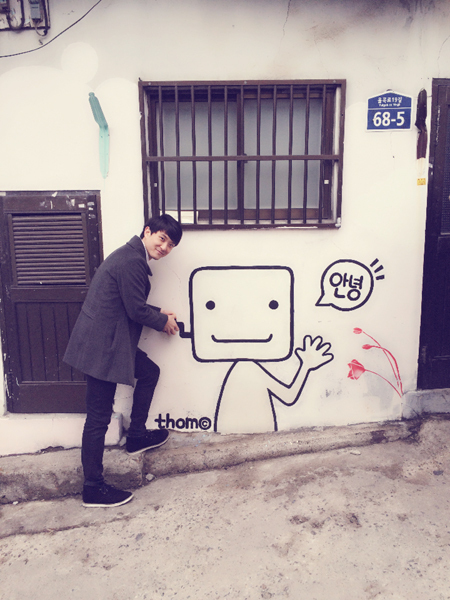 We highly recommend you this package that you can catch all of Seoul in your camera. 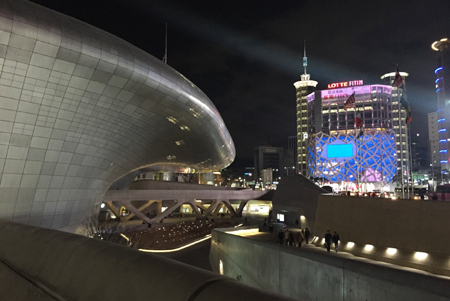 The world’s largest three-dimensional amorphous architectural structure, the DDP(Dongdaemun Design Plaza) metonymically combines history and culture with the city, society, and economy to create one landscape. Reminiscent of flowing water, the structure embraces the spatial flexibility of the park and incorporates Korean tradition and the future of ever-changing design into one. In Korean traditional structure, there is the feature that trying to embrace the nature such as the mountain, the sea, the land and the wind into one. They are not against the nature by putting the structure on earth. 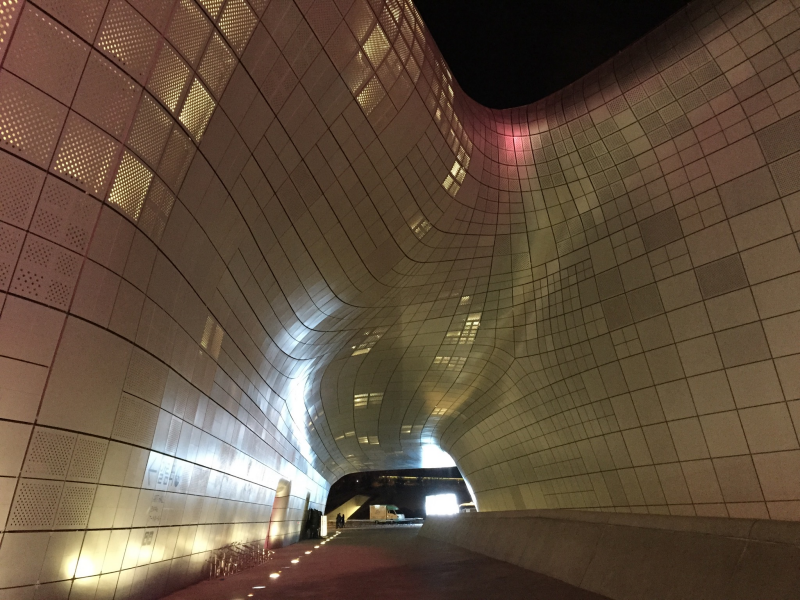 DDP in Dongdaemun tried to do metonymy the traditional Korean structure and they expressed a building and park are associated with the flow of liquid. 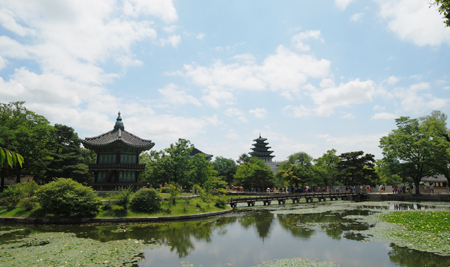 Although DDP and Gyeongbokgung Palace look different, the thing that they tried to embrace the nature is the same. 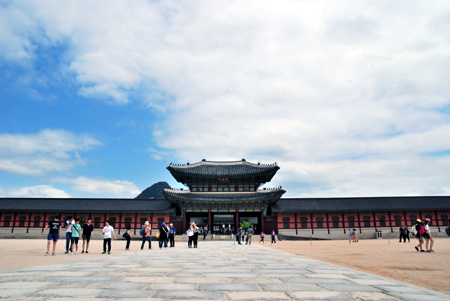 So, we would like to introduce DDP and Gyeongbokgung Palace together. Why don’t you do time travel with me? 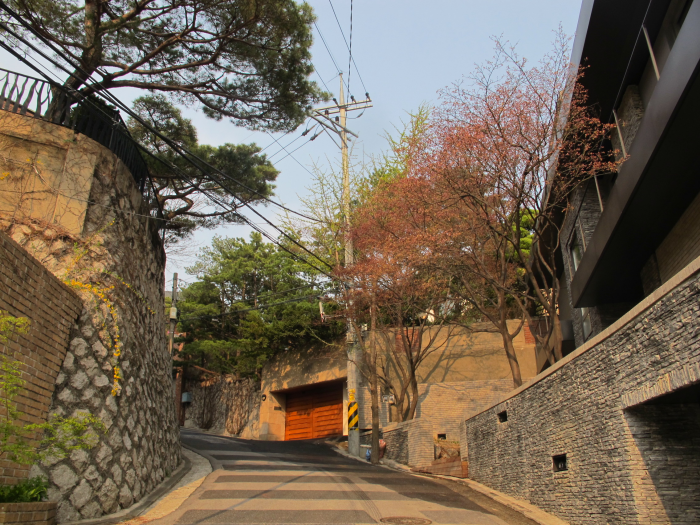 It is one of the rich villages in Seoul. These days, Seongbukdong is coming up as new tourist attractions among tourists. Let’s experience the ‘Beverly Hills of Seoul’. We are going to just pass by here. Ihwa-dong that had formed as a Mural Village in 1960s’, started to be removed the house one by one. To change the atmosphere from the backward image, it started to be painted on the wall. Nevertheless, you can still feel the mood of 1960’s. Let’s experience the Ihwa-dong which coexisted with the present and the past. Dongdaemun-gu is well-known as a landmark of South Korea’s fashion hub and popular tourist destination. 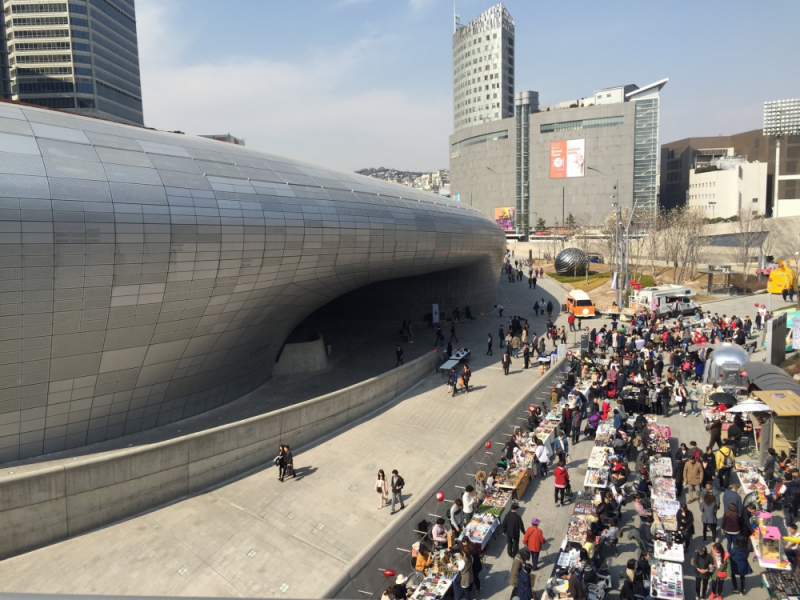 DDP was constructed a few years ago and has become one of a cultural center in Seoul. Let’s visit DDP that did metonymy the Korean traditional scenery. At the same time, it’s a good opportunity to see the night view of DDP. 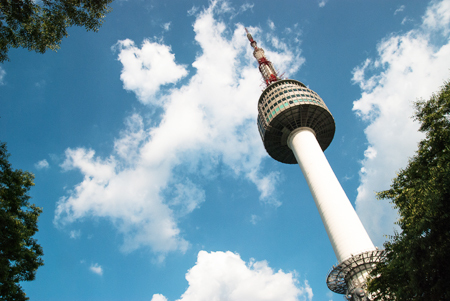 N Seoul Tower is one of the best places where you can look over Seoul at a glance. On the top of the tower, if you look down the at the city nightscape, you might feel relieved a t hear. Especially, there is a popular place where you can lock your love with a padlock. Would you like to share your love here?